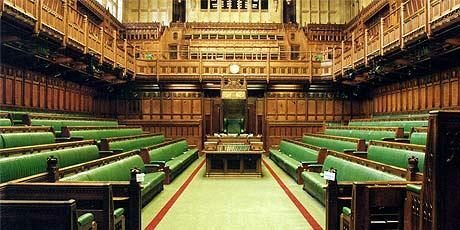 One could be forgiven for thinking that the only melting pot for discussion on Brexit is the House of Commons (although television studios and indeed, the environs surrounding parliament have also come into their own); but, of course, our parliament comprises two houses and the House of Lords is also playing an important role as the clock ticks towards March 29th. A recent debate in the Lords raised some interesting and concerning issues. On a “motion to take note” focused on the proposed UK – EU security treaty (European Union Committee Report), took place in the House of Lords on 16 January. Which offered an important insight into a matter of real significance that has, on the whole, not generated a lot of attention, comment or exposure in the media. Lord Jay opened the debate by referencing the House of Lords as the “calm and thoughtful” end of the Palace of Westminster and it is hard not to agree. He articulated three salient points from the report which was published in July 2018. The report supported the government’s three principal areas for future UK-EU security co-operation – extradition, partnerships with EU agencies such as Europol, and access to law enforcement databases – and considered how the UK’s engagement with the EU in each of these areas may be affected during the transition period and under the future UK-EU security relationship. The outlook doesn’t appear especially positive with or without a withdrawal agreement. Even if the agreement negotiated by the Prime Minister were to benefit from a Lazarus like revival there would still be concerns about some fairly significant issues: yes, we would still participate in EU agencies and information sharing mechanisms until the end of the transition period but not, however, be able to participate in the management bodies of EU agencies or opt in to new measures in the areas of freedom, security and justice; extradition arrangements could also be disrupted; and, the report concluded, it’s unlikely that an overarching internal security treaty could be agreed before the end of 2020. Europol, data sharing, extradition, European Criminal Records System (to which no non EU country has access) are all issues relating to our security (the first and most important responsibility of any government) and it would be fair to say that we cannot rest easy at the moment. Just one example: UK-EU security relies on the exchange of data and, at present, this can be retrieved almost instantaneously. There is no guarantee, post Brexit, with or without a deal, that this would not take days or weeks, generating a hurdle for policing and a concomitant threat to public safety. If we have no deal at all the latest reaction from the National Crime Agency gives us even more cause for concern. It’s in this overall context that the debate in the House of Lords was welcome and enlightening. It’s easy to forget (with sometimes more or less gentle nudging by the popular press) that the Lord’s is filled with many distinguished, knowledgeable, erudite, public spirited, thoughtful and reflective individuals. Take, for example, Lord Bach who made a useful and thought provoking contribution to the debate. Lord Bach is the police and crime commissioner for Leicestershire and Rutland and, in his former incarnations, has ben a minister in the departments of Justice and Defence and a shadow foreign minister and shadow Attorney General. Quite an impressive resumé. As he points out, even with a deal, there would but be twenty one months during the transition period in which to negotiate comprehensive agreements covering all the areas previously highlighted as giving rise to concern. The current, vital agreements, play an important and positive role in policing and will not easily be replicated; they have added greatly to the efficiency and effectiveness of policing both here and abroad. As Lord Bach highlights, we would be seeking future agreements as a third party, albeit a special third party, and, despite best efforts, it can take many years, if not actually be impossible, for agreements to be reached between the EU and outside countries. With European parliamentary elections and a new European Commission due this year the actual time to negotiate may, in effect, be reduced from twenty one to fifteen months. Should no agreement be possible in that timeframe (even the more generous of the two) it runs the risk, says Lord Bach , of directly affecting the security of people’s lives in both this country and the EU. This, he rightly notes, would be unforgivable. Trade, immigration, parliamentary sovereignty: all important and all generating diverse opinions. But it’s important not to forget that security and the need to keep us safe is the primary concern of government. That’s why we should be concerned about what happens next – it’s not an abstract concern but one that goes to the very heart of how we live our lives. We can easily become complacent. For many years the crime figures seems to have been telling us that crime is falling and that we are safer than we have ever been. The latest figures tell a different story. And in a rare television interview the former head of MI6, Sir John Sawers said this: “Any form of Brexit makes our security more difficult to manage”. As the clock ticks towards March 29th the debate in the House of Lords and the comments from those who have been charged with our safety and security are matters that deserve and need to generate rather more attention and concern. d. administrative justice, particularly as delivered by the tribunals system? e. those who are digitally excluded or require support to use digital services? What are the effects on access to justice of court and tribunal centre closures, including the likely impact of closures that have not yet been implemented; and of reductions in HMCTS staffing under the reform programme? For users, how far can online processes and video hearings be a sufficient substitute for access to court and tribunal buildings? Now, court reform, indeed criminal justice issues in general, are not really the stuff of tabloid headlines. The exceptions, of course, are when something is deemed to have gone dramatically wrong: a high profile miscarriage of justice; a high profile trial involving serious crime (or a well known celebrity); or something that is deemed to affront all sense of right and justice (The Worboys case). The actual functioning of our justice system does, on the whole, not generate a huge amount of interest or engagement by the public; one could even be forgiven for thinking that for lot of the time criminal justice professionals are simply talking amongst themselves. But the way our justice system works, including the way and means that people have access to that system is one of the bedrocks, one of the essential component parts of a democratic, civilised society. It is not, or should not be an afterthought and something to which we are all subject rather than about which we are informed and concerned. The reform programmes in criminal justice have noble aspirations: to make sure that the system is fit for purpose (future proofed) and that we continue to have a justice system that is the envy of the world. Better case management, greater and more efficient use of technology, “putting victims first” – all sound great. But are they just sound bites? If you listen to the government these reforms are doing just what they set out to do – providing a justice system that is lean, fair, empathic and fit for the future. But there are some siren voices that are raising concerns. A recent bestseller (yes, I know, seems something of a contradiction to what is said above) casts a critical eye over these reforms and the system in general. The Secret Barrister raises significant concerns about our justice system and, if you can lay your hands on a copy, it’s well worth a read – this is not a backdoor promotion of the book by the way. For example, the programme of court closures and the impact these have. The MOJ points out that 97% of users will still have access to a court within an hour’s travel time. Sounds reasonable. And yet many of us who have worked in a court environment know the difficulties, some not insubstantial, that witnesses have getting to court let alone the problems of getting the accused to court on time. So it’s not all rosy garden stuff. That’s why this inquiry is important. For many of those impacted by our criminal justice system (and that is, let’s face it, most of us) don’t really have, too often, the chance to have our voices heard. So please, if you have any insights, any concerns, any suggestions on the questions raised, on how to make our justice system serve us better and be the shining beacon on a hill it has been promoted as in the past, let the committee know and send in a response. You have until March 11th. There has been much talk in recent times of our criminal justice system being in turmoil, if not crisis. Much of this has been fuelled by the cuts made to legal aid provision: the courts are seeing ever greater numbers of defendants having to represent themselves at hearings. As well as this being perceived as a diminution of the rights of defendants to a fair trial and the disposal of effective justice it can also have a deleterious impact on witnesses who may be subjected to cross examination in court by those untrained and, often ill prepared defendants. But there’s also something of a crisis in the family courts. 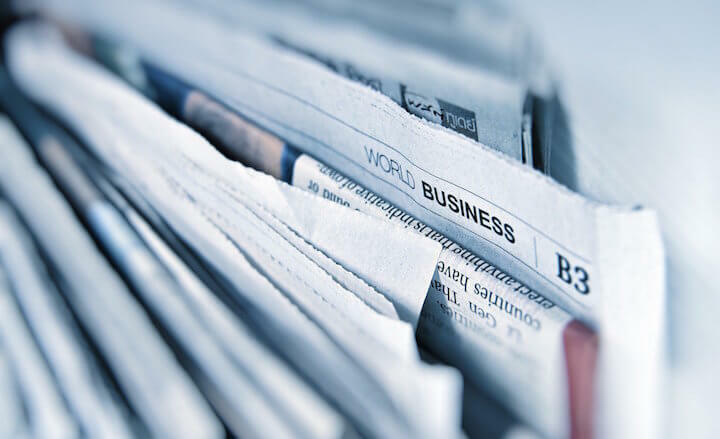 “Crisis” was the word used by the previous Head of the Family Division, Sir James Munby, and whilst his successor Sir Andrew McFarlane has suggested that the word “crisis” may not be helpful, he too remains in no doubt that there are serious issues that need to be addressed. Family courts are continuing to see an increase in the volume of cases being heard – in the period April to June this year over sixty eight thousand cases started in family courts, a seven percent increase from a similar period last year. The number of domestic violence remedy order applications has risen over a similar timeframe. It has sometimes been assumed that those appearing in criminal trials are, because of the nature of the trial process and the potential impact on witnesses, victims and, indeed defendants more in need of support than those attending civil cases or the family courts. But why should this be so? To appear at court, particularly if one is a victim of domestic abuse and in continuing need of protection and the need to feel safe is just as traumatic, potentially, as giving evidence in a criminal trial. And, as things stand, there is little by way of support available. The Witness Service offers support before and during criminal proceedings to witnesses giving evidence at all criminal courts in England and Wales. This support has proved to be invaluable to thousands of such witnesses each year and offered them better opportunity, as a result, to give their best evidence when they appear. It is widely recognised throughout the system as being an invaluable and highly valued part of the overall provision of an effective and efficient justice system. The support offered at criminal trials is long overdue in the family courts where those appearing, far too often unrepresented, are just as in need of support. Appearing at family court can be a hugely stressful experience and, if justice is to be be served, there is a real need, no, a demand, for support and help to navigate what is a difficult and often complex system to be made available to those with such needs. 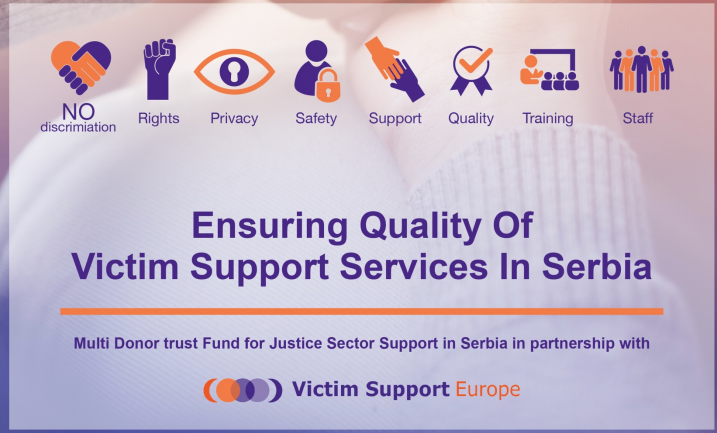 We are delighted to have been able to help Victim Support Europe and the Multi Donor Trust Fund for Justice Sector Support in Serbia with the production of their recent report. Supporting Justice has collaborated on this piece of work and engaged with colleagues in Serbia over the past few years and we hope that this will play a significant part in improving the support offered and delivered to victims of crime in Serbia. The report also recognises that Supporting Justice is leading the way and pioneering this approach in England and Wales. Our Quality Mark standards has been of real use in the development of ideas and production within the report, highlighting the need for standards, indicators and criteria to assess the effectiveness of victim care. The development of our Victims Choice standards and the application of our independent and outcome focused approach is one that we think has intrinsic merit in delivering effective victim care. The recipients of our Quality Mark think so too, recognising that it has helped them deliver even better service to victims. It is heartening to read that our contribution to the improvement in victim care is recognised beyond these shores. We look forward to continuing to assist others in their determination to improve victim services wherever they are needed. If you would like to know more about our Quality Mark standards please get in touch. We are happy to provide more information on request. As new Home Secretary Sajid Javid works his way through what is sure to be an over-flowing inbox, he will find that the impact of the ‘hostile environment’ policies employed by the Home Office extends well beyond the Windrush generation. This article first appeared in Policing Insight. By Andrew Morley, Non-Executive Director. Will the new Government uphold victims’ rights in the wake of Brexit? Why is there a need for a victim service quality mark? Brexit – Your vote: What about Victims and Witnesses? Vulnerable victims: we still haven’t got it right. EU Directive Blog Series- The EU Directive on Victims Rights- It’s coming soon! Survivors UK: A struggle to survive. A new parliament; a new Lord Chancellor; a new start? Legal Aid- A Price Worth Paying? Language – why we need to get it right! General Election 2015 – do victims and witnesses matter?